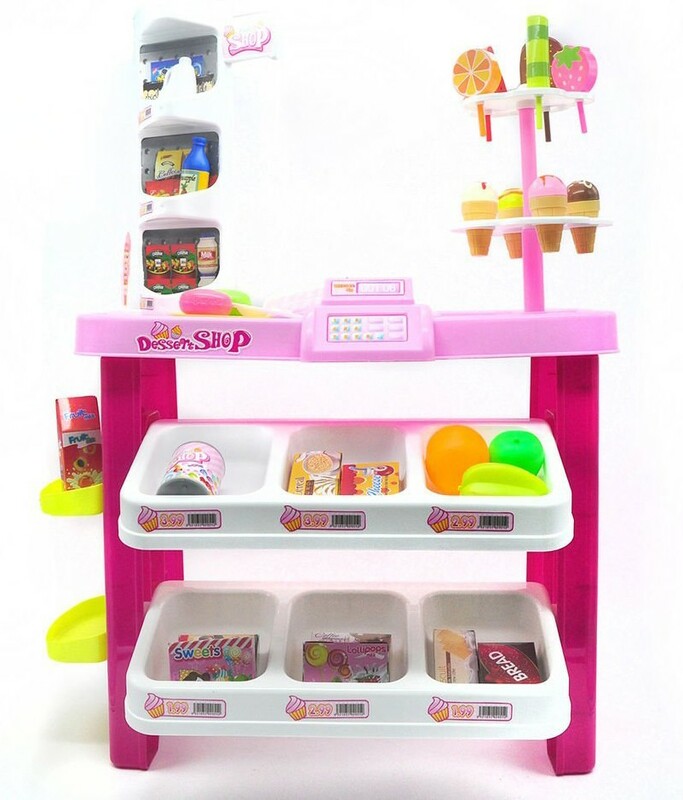 Master Box Dimension : 24" X 17" X 23"
It's the deluxe ice cream and dessert playset stand that lets kids be their own boss of their own sweet little dessert stand. 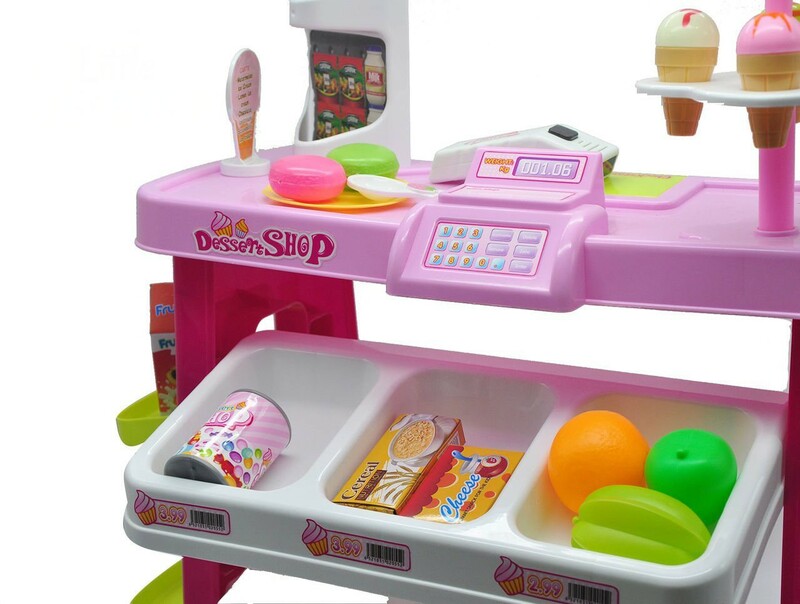 Kids will love this playset simply because there are a variety of dessert to choose from! This playset is great for creative play and kids can sell their ice cream to friends and family. It has built in working scanner and a cash register that double as a real calculator for even more realistic pretend play! Great for role playing and creates a social environment for kids. Comes with a variety of pretend ice cream, dessert, and other ice cream product. Deluxe dessert shop comes with a variety of ice cream, desserts, and other ice cream product. This is great for role playing with friends and kids can practice with their social skills.